Do you have elderly parents or in-laws who still live alone? They may have started to show signs of needing assistance on a regular basis, and before the situation becomes dire—with a fall resulting in a broken hip or worse,—it makes sense to investigate other living options for them. One popular choice is an assisted-living facility, or ALF. As the name implies, an ALF is a residence that provides assistance with daily living activities such as cooking, cleaning, laundry, and transportation to doctor appointments. Set-ups vary widely, with some centers offering a range of accommodations on the grounds, from standalone homes to small, studio apartment-like units with scaled-down kitchens and living areas. Residents can usually choose how much help they receive, and are often self-reliant for most of their needs. Typically, a facility will offer security and around-the-clock access to healthcare as well as a full schedule of meals and recreational activities. It’s seldom easy to convince parents who are still mentally competent to pull up stakes and move to an ALF. They may hate the idea of moving away from friends and family, and dread going somewhere that will mean losing much of their independence. And they may have unrealistic expectations about what their new lives will be like. Though ALFs are designed to provide residents with essential services, the staff isn’t there to wait on people hand and foot. Because one ALF may be very different from another, finding a good fit may take considerable research. The range of costs is wide, from as little as $25,000 a year to more than $100,000 annually in some parts of the country. And while long-term care insurance may help with expenses for several years, most long-term care policies have a cap on total payouts and years of payment. What is the staff like? As important as the physical amenities are, the people may make even more of a difference. Look for a place whose staff members appear genuinely interested in residents, have the requisite qualifications and experience, and seem well equipped to handle emergencies. 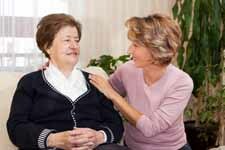 What level of care will your relative require? Though you’ll certainly have a say in this matter, many ALFs make an initial analysis of a prospective resident’s needs and then recommend certain services. The higher the level of care, the greater the expense. Is the facility comfortable? Sometimes, a smaller, cozy environment is preferable to being in a larger building. And what are the grounds like? Are there beautiful outdoor spaces that are well maintained throughout the year? What activities are available to residents? Typically, an ALF will include amenities such as a small gym or workout room, a library, and a chapel. It may offer religious services and activities ranging from live entertainment to bingo and card games. And there may be field trips for those who want to shop or attend concerts or sporting events. How’s the food? Usually, an ALF will serve three meals a day and post daily or weekly menus. Is there sufficient variety, and do the meals seem nutritious and appetizing? Do residents have the option of eating in their rooms? Does the facility comply with state and local licensing requirements? Does it rank highly in evaluations by state or local agencies? You can also check with the Better Business Bureau to see whether any complaints have been lodged against the operator. How is security handled? Among an elderly population, personal property may go missing for a variety of reasons, some related to residents’ cognitive lapses. But it’s crucial to know that your relative will be safe and secure. What are the hidden costs? Don’t forget to factor in charges for haircuts, manicures, TV and phone services, and a range of other add-on expenses that tend not to be listed in facility brochures. Also, be sure to ask about projected fee increases, and the cost of a short- or long-term transfer to a facility’s nursing home. Convincing a relative that it’s time to get more help and then choosing an ALF can be an extremely emotional process that puts stress on everyone involved. If you anticipate a move and are able to do most of the homework ahead of time, it may help you and your relative feel more comfortable with the idea and reassure you that you’ve made the best choice.